Release the string with a Thumb Ring. 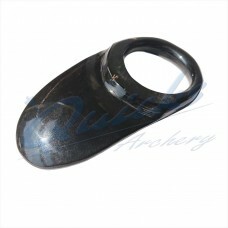 Used by Traditionalists, often with short very recurved bows and to shoot off the other side of the bow as in a Tab or Release aid loose. 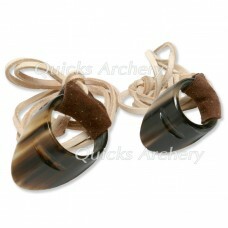 Can be used for Horse archery , and Classic Hunter Bows. Horn Thumb Ring A traditional style thumb ring for those wanting to try this technique of..
Crafted on horn for the traditionalist String groove and lanyard Several diameters availa..